Born in 1961 in Hamburg, Frank Appel completed a masters in chemistry from the University of Munich in 1989 before going on to obtain a PhD in neurobiology in 1993, during which he was involved in spinal cord regeneration research with ETH (the Swiss Federal Institute of Technology). He then sharply changed direction at the age of 32 and started working as a consultant with McKinsey & Co in 1993, becoming a partner in the firm in 1999. Having begun his career in scientific research before moving into management consultancy, Appel then took another volte-face in joining Deutsche Post, assuming the position of Managing Director of Corporate Development in 2000. He rose quickly to prominence, becoming a member of the board in 2002, holding a number of positions thereafter. Finally, he was appointed CEO in February 2008, following the unexpected resignation of Klaus Zumwinkel, as a result of the latter’s criminal investigation for tax evasion. 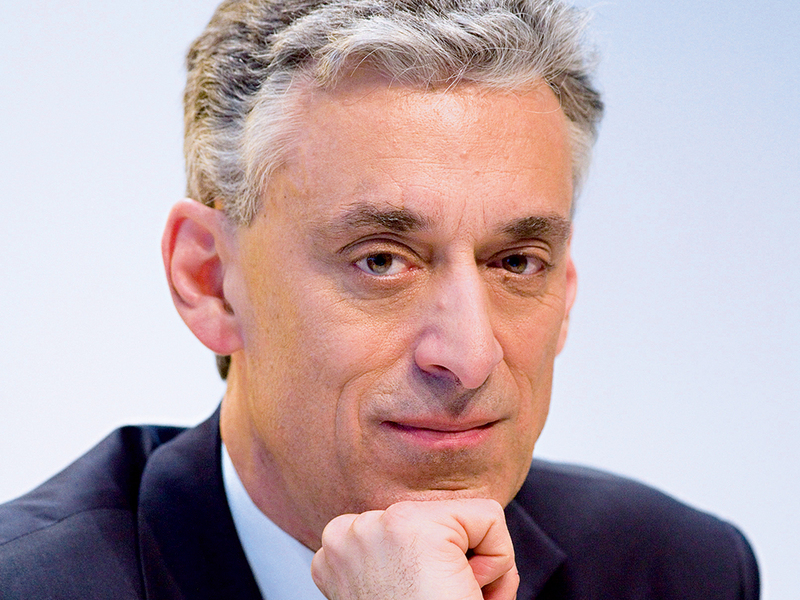 On becoming CEO, Appel’s first task was to try to restore morale at Deutsche Post, in light of the shadow cast over his predecessor. He also had to tackle a number of issues within the business, including the significant losses incurred by the group’s US parcel business. During his tenure at the top, Appel has overseen Deutsche Post’s acquisition of more than 100 companies, meaning that the company today operates in more than 200 countries with over 470,000 employees. One of the most important developments that Appel has spearheaded has been the expansion of the business into Asia, where he has overseen the investment of more than $2.5bn. In 2013, this region contributed nearly 20 percent of DHL’s total revenue. Furthermore, projections for the next five years estimate that the Asia-Pacific region will amount to approximately one-third of the group’s total global income. Since his appointment, Appel has re-positioned Deutsche Post as an organisation that is able to meet the service expectations of individual clients. Traditionally a corporate business courier, the continuing rise in E-commerce has been a driving factor for new business for Deutsche Post. So, while traditional orders involved large volumes of parcels travelling regular routes to business customers, today, online orders involve small deliveries to individual households. This means that Appel has had to rethink the way that the Deutsche Post group perceives its client base, and, leading on from this, he has an ongoing project of reducing the cost base in the wake of more and more smaller parcels being delivered to a more disparate client base. In July 2012, Appel launched the $175m DHL Express North Asia Hub, a facility for the company’s international airfreight service and the biggest of its kind in Asia. In addition to this, he now plans to invest a further $132m over the next two years to pay for eight dedicated aircraft which will fly between North Asia, Europe and the US. This service is expected to be able to process some 20,000 parcels and 20,000 documents an hour. Across the North Asia Hub, it will serve Taiwan, South Korea and western China. “Colleagues regularly ask me one question: ‘how can we best plan for the future?’ and my response is always ‘by asking the right questions at the right time’. [Although] people are negative, what usually happens from our past experience is not as bad as everybody expected. I was very idealistic when I was 18, as all teenagers are. You always hope that tomorrow is a better day, that we can do so much for so many people and you wonder why so many are still living in poor conditions when the world is so rich. However, he also believes in keeping a work-life balance, choosing only to work Monday to Friday so that he can spend weekends with his family. “My leadership philosophy has many elements; you have to give people a purpose. People want to work for a company that makes a difference every day because we help countries to grow. We enable prosperity.